BREATHTAKING SUNSETS ON LAKE ERIE. Quality throughout this home. This year-round waterfront home is waiting for a new buyer to enjoy all that the lake life has to offer. 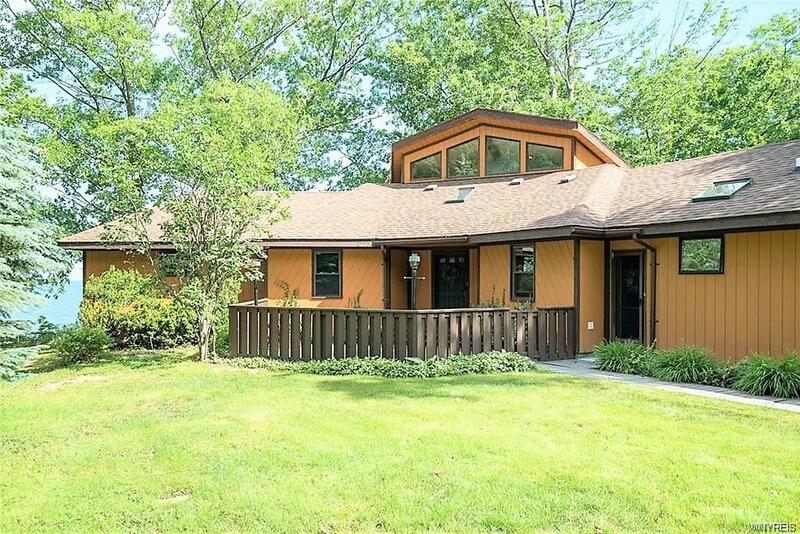 Three bedrooms, master bedroom has view of the lake, sliding glass doors to the deck and his & her closets. Large living room with fireplace, cathedral ceilings, sliding glass doors to the deck and built in bar. Large eat-in kitchen which includes, stove top, microwave, oven, dishwasher. Separate first floor laundry area off kitchen with pantry. The basement is perfect for company either as a rec room or extra sleeping area with superior walls and egress windows. Oak Grove community offers a private beach just steps away and a small boat launch. Be in before summer!